The Tennessee Valley Authority (TVA) in the southeastern United States employed thousands during the planning and construction phases of its major water projects. The TVA was a prototype model for river basin planning around the world. Today, however, other approaches have evolved, expanding and improving on the TVA model. western United States. President Theodore Roosevelt was also an early proponent of the concept, stating that "each river system from its headwaters in the forest to its mouth on the coast, is a unit and should be treated as such." In 1957, geographer Gilbert White published an influential paper in which he cited three central ideas to river basin planning: the multipurpose dam and reservoir, the basinwide program, and comprehensive regional development. An early and lasting example of the multipurpose dam is Hoover Dam on the Colorado River. Constructed in the late 1920s and 1930s, Hoover Dam was designed to serve several purposes: hydroelectric power generation, flood control, irrigation, municipal water supply, and navigation. The basinwide program seeks to coordinate water resources plans throughout a river basin. The Tennessee Valley Authority (TVA), a federal agency responsible for navigation, flood control, hydropower generation and distribution, and agricultural industrial development in the southeastern United States, is a prominent example. Comprehensive regional development aims to improve living conditions for basin residents through social and economic development. Comprehensive regional development aims to explicitly stimulate economic and social growth through river regulation. This concept is difficult to clearly describe, largely because it has never been fully realized anywhere. River regulation has stimulated economic and social growth in many areas, of course. But these benefits have never been fully planned before river regulation, and then subsequently managed after water project construction. A panel of experts convened by the United Nations in 1958 reviewed the scope and purposes of river basin planning. This group interpreted integrated river basin development as meaning the orderly marshaling of multipurpose river basin water resources to promote human welfare. The concept of integrated river basin planning spread across the world in the third quarter of the twentieth century, with many of these programs influenced strongly by the TVA. Programs in California's Central Valley and the Columbia River also were influential in the evolution of the river basin planning concept. 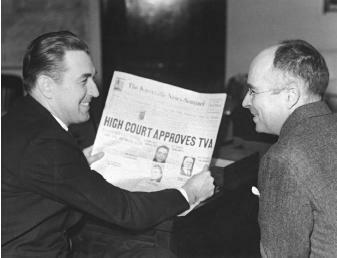 Building on the TVA experience, President Franklin Roosevelt established the Federal Interagency River Basin Committee (FIARBC) in 1943. The first FIARBC committee was established in 1945 for the Missouri River Basin and was followed by similar efforts across the nation. Most of these committees, however, served largely as a means for authorizing and constructing new water projects and did not effectively promote integrated basinwide programs. These committees were eventually terminated and replaced in 1965 by a set of commissions that provided greater roles for the states, but they too were generally viewed as unsuccessful and were terminated in 1981. The independence and flexibility granted to the TVA was never repeated in a river basin administration in the United States. The most significant river basin planning initiative in the United States in the 1980s and 1990s was in the Columbia River Basin. The 1980 Northwest Planning Act created the Northwest Power Planning Council, which is responsible for balancing long-range hydroelectric power production in the Columbia Basin with salmon fishery restoration. Other lasting U.S. river basin initiatives are in the Delaware and Susquehanna Basins, where the only two river basin commissions that operate via federal-state government compacts exist. The philosophy of river basin development underwent significant changes during the latter half of the twentieth century. In 1950, construction of multiple-purpose dams and other engineering works along a river's main channel was central to the concept, which was embodied by the Tennessee Valley Authority. By the close of the century, however, the concept had shifted and broadened to include emphases on the values of biodiversity , nonstructural means of improved water management, and stakeholder participation in watershed-level initiatives. The federal government remains active in the nation's major river basins, and federal agencies like the Bureau of Reclamation, the Army Corps of Engineers, and the Fish and Wildlife Service are responsible for the management of much of the nation's dams and other water resources infrastructure . But many creative new planning efforts are being conducted at the subbasin, or watershed, scale. These watershed initiatives feature the participation of local citizens and interest groups in cooperation with state and federal agencies. The U.S. federal government supports these efforts by providing technical and scientific support, administrative support, science programs, and assistance in interpreting and implementing federal policies. No two of these watershed management programs are alike, but many of them emphasize sustainable development and community-based participation. International flags fly outside the Mekong River Basin Commission, whose headquarters moved from Bangkok, Thailand to Phnom Penh, Cambodia in 1998. This commission consists of representatives from the four nations of the Lower Mekong River Basin—Cambodia, Laos, Thailand, and Vietnam. In the developing nations, social and environmental issues and specialists are beginning to appear within the plans and the staffs of river basin planning groups. Environmental groups, many of them based in the industrialized nations, have been instrumental in bringing these issues to the fore. If the potential of these river basins to promote development is to be realized, a wider range of issues needs to be incorporated into planning, especially human and environmental issues. There is also a need to more thoroughly appraise the results of water projects and river basin planning and incorporate those results into future plans. The TVA has served as the model for river basin authorities throughout the world, including the Damodar Valley Authority in India, the Mekong River Commission in Southeast Asia, and the Snowy Mountain Authority in Australia. River basin planning authorities in the developing nations tend to rely heavily on financial support from donor nations. For example, the Mekong River Commission originally was established with strong financial backing from the United States; its key donor nations as of 2002 included Denmark, Japan, Sweden, and Switzerland. River basin planning programs in the developing nations have viewed river basins generally as hydrological systems, with a strong emphasis on constructing large dams to generate hydroelectricity. These programs have emphasized power production and have tended to overestimate the benefits of power generation and irrigation and underestimate social and environmental costs. These costs include the resettlement of indigenous people from river valleys, the blockage of fish migration routes by dams, and the disruption of natural flood cycles that are important to agriculture and ecosystems. For example, so-called "recession agriculture" is a practice in which crops are planted in floodplains watered by receding floodwaters. Upstream dams have disturbed this practice in many areas. Although these dams have yielded many benefits, the record of river basin planning in the developing nations suggests that dams are often prematurely constructed. River basin plans often have gone forward without evaluating a wider range of development options and without consulting local people who would be affected by the plans. River systems in the developing nations thus often fall short of their potential to promote social improvements. SEE ALSO Army Corps of Engineers, U.S. ; Bureau of Reclamation, U.S. ; California, Water Management in ; Colorado River Basin ; Columbia River Basin ; Dams ; Fish and Wildlife Service, U.S. ; Hoover Dam ; Hydroelectric Power ; Integrated Water Resources Management ; Land-Use Planning ; Mississippi River Basin ; Planning and Management, Water Resources ; Powell, John Wesley ; Public Participation ; Reservoirs, Multipurpose ; Rivers, Major World ; Tennessee Valley Authority ; White, Gilbert . Day, John et al. "River Basin Development." In Geography, Resources, and Environment, Volume II: Themes from the Work of Gilbert F. White, ed. Robert Kates and Ian Burton. Chicago: University of Chicago Press, 1986. Jacobs, Jeffrey W. "The United States and the Mekong Project." Water Policy 1 (2000):587–603. Lee, Kai. "The Columbia River Basin: Experimenting with Sustainability." Environment 31, no. 6 (1989):6–11, 30–33. Powell, John Wesley. Report on the Lands of the Arid Region of the United States, with a More Detailed Account of the Lands of Utah, 2nd ed. Washington, D.C.: U.S. Government Printing Office, 1879. Rieke, Betsy, and Doug Kenney. "Resource Management at the Watershed Level:Report to the Western Water Policy Advisory Commission." National Technical Information Service, 1997. Scudder, Thayer. "Recent Experiences with River Basin Development in the Tropics and Subtropics." Natural Resources Forum 18, no. 2 (1994):101–113. Teclaff, Ludwig. "Evolution of the River Basin Concept in National and International Water Law." Natural Resources Journal 36 (Spring 1996):359–391. United Nations. Integrated River Basin Development: Report of a Panel of Experts, rev. ed. New York: United Nations, 1970. White, Gilbert F. "A Perspective of River Basin Development." Law and Contemporary Problems 22, no. 2 (1957):157–184. "Dams and Development: A New Framework for Decision-Making. The Report of the World Commission on Dams." Dams and Development. World Commission on Dams. <http://www.dams.org> . 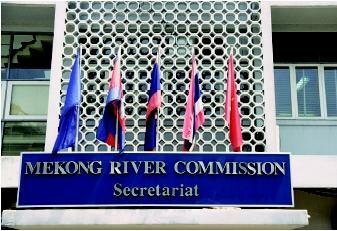 River basin commissions, also known as authorities, committees, or councils, assume a variety of forms and functions. Their powers range from serving as consultative bodies to making decisions on all phases of water development. They may be single purpose or may focus on multipurpose development. They often have technical staff who provide scientific and engineering advice to policymakers. Their duties may include siting and design of water projects, hydrological and climatic data gathering, flood forecasting and warning, and water quality and environmental monitoring. River basin commissions have been established around the world in both domestic and international basins. They have proven remarkably resilient, and often are able to survive wars and political disagreements. i enjoyed your website. i pleasured myself to it. thank you.